Housing analysts have raised concerns that borrowers are becoming increasingly reckless when taking out so-called adjustable-rate mortgages, similar to the way they were abused in the years before the Great Recession more than a decade ago. The problem is that borrowers are asking for much higher loan amounts than they have been in recent years. Last week, the average size of an ARM rose to $688,400, which is more than double that of the average fixed-rate mortgage at $280,900, according to Mortgage Bankers Association data. 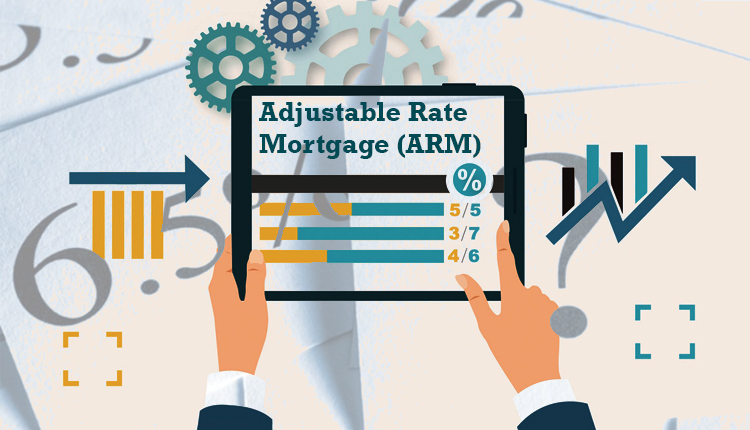 An ARM is a type of home loan in which the interest rate applied on the outstanding balance varies throughout the life of the loan. Normally, the initial interest rate is fixed for a period of time, after which it resets periodically, often every year or even monthly. The interest rate resets based on a benchmark or index plus an additional spread, called an ARM margin. ARMs can be tempting to some borrowers as in most cases the opening interest rate is much lower than that of a fixed rate mortgage. But once the interest on the loan resets, the monthly repayments can suddenly become much more expensive. As of last week, the average rate for a five year ARM was 3.96 percent, versus 4.46 percent for a 30-year fixed rate mortgage, Freddie Mac data shows. As such, the share of AMRs in the mortgage market has been increasing, especially in the most expensive markets. According to an article in MarketWatch, the worry is that the average rate of an ARM could spiral out of control, but economists say that today’s ARMs are quite different from those that were issued before the 2008 market crash. Mike Fratantoni, chief economist at the Mortgage Bankers Association, pointed out that today’s ARMs often carry much larger balances because that’s what they’re designed for – to help people buy more expensive homes. “I think there is still a desire to use the product which is going to get you into the home, and then there may be an opportunity to refinance into a fixed-rate mortgage later,” Fratantoni said. He added that higher-income borrowers also may be more tolerant of the financial risks of ARMs. As such, Fratantoni says that ARMs aren’t likely to contribute to a housing bubble like they did a decade ago. He pointed out that lenders have stricter rules in place regarding the issuing of ARMs. For example, lenders will now try to verify that borrowers can afford any monthly payment during the life of the loan, even if the rate resets.